Who will be #1 at the Push up challenge, Wall squat, Plank, and Side plank? Play hop scotch & long rope skipping, or pedal on our blender bike if you want a free smoothie! 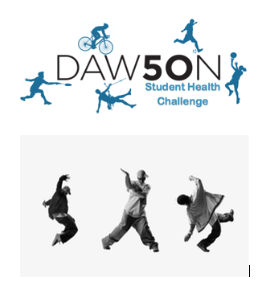 Sponsor: Hip Hop dance demo : Come participate in a hip hop dance demo! Information kiosk: Thinking about becoming a Vegan? Come meet Eleanor Carrara (B.Sc. McGill, MBA Concordia) has been a committed environmentalist and animal rights activist for over 40 years. Starting with the baby seal hunt in the late 70’s, Eleanor learned that the key to stopping such cruelty was to stop the demand rather than trying to convince the hunters and the government that this was cruel. This led her to other areas of animal activism including fur trapping, vivisection, wildlife conservation and companion animals. Eleanor has been a member of IFAW, PETA, WWF and the Montreal and Toronto SPCAs for decades. She converted to vegetarianism in the late 70’s and then to veganism 3 years ago. Eleanor’s professional career as Vice President of Business Operations in one of the largest global digital infrastructure companies has occupied most of her time over the last couple of decades. She now plans to dedicate herself to combatting climate change and promoting veganism. Eleanor’s professional bio can be found on LinkedIn at www.linkedin.com/in/eleanorcarrara .